Approximately 3000 babies are born each year in Australia with congenital heart disease. Fetal cardiac abnormalities can be detected by routine ultrasound. When an abnormality is detected or suspected, you may be referred by your doctor for a fetal cardiac ultrasound. A fetal cardiac ultrasound is a detailed assessment of the fetal heart by ultrasound and can be performed from late first trimester all the way through the pregnancy until delivery. The ultrasound provides a timely diagnosis of fetal congenital heart defects. At WUMe, fetal cardiac assessment ultrasound will be performed at by Dr. Darren Hutchinson, Consultant Fetal Cardiologist. Following a detailed cardiac ultrasound, he will consult with you to discuss any abnormalities seen, their potential consequences and long term outcomes. He will also discuss relevant therapies to you and any implications for pregnancy management and place of delivery. This information will also be provided to your referring Doctor/Obstetrician. Darren undertook his medical training Monash University in Melbourne and obtained specialty Fellowships in both Paediatric Cardiology and Paediatric Cardiac Imaging at the Royal Children’s Hospital.In 2012, Darren was awarded the prestigious Victoria Fellowship and the Endeavour Award. He went on to complete a sub-specialty Clinical and Research Fellowship in Fetal Cardiology at Stollery Childrens Hospital in Alberta, Canada. 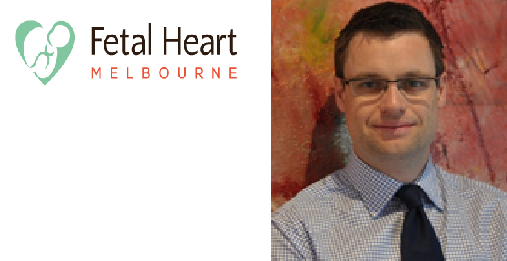 Darren is the Director of Fetal Heart Melbourne and consults at WUMe. He also has appointments at the Royal Childrens Hospital, The Women’s Hospital, and Western Health. Darren’s research interests include early diagnosis of structural and functional fetal heart disease, first trimester fetal echocardiography and non invasive cardiac imaging.